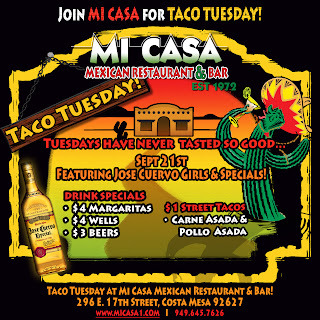 I've added some more Taco Tuesday info in recently. If you know of any place that should be added or if you have any updates for an existing listing please leave a comment or e-mail me. I will work legitimate information given back into the main entry. We try to keep the information up to date but can't make any guarantees. Tacos, soups, chips, salsas, more than 20 different items all for $1 ea. $1.25 Tacos & $3 Coronas. Served 2pm-2am. 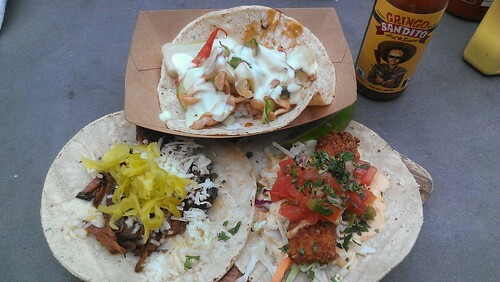 $2 Tacos......Chicken, Carnitas, Ground Beef, Shredded Beef 4 pm til closing! We have 85¢ tacos all day on Tuesdays! 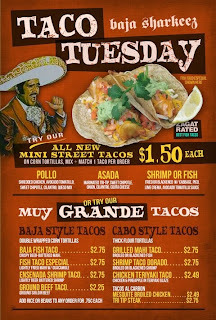 Good selection of $1 tacos every Tuesday. "Every Tuesday we are selling $1.50 tacos all day." Mahi Mahi and Calamari Tacos are $1.50 from 4-7 pm Mon-Fri.
"$1.25 Baja Style Tacos for Chicken, Carnitas or Shredded Beef or $.50 more for Steak; Also all beers are $1.99!" 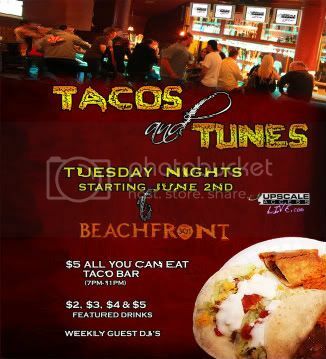 "$1 tacos, $2.00 Coronas, $3 well margaritas, D. J. and dancing 9 P.M. all ages welcome." $23 for an awesome flight of four tacos; Fresh Mahi with an achiote marinade, served on a corn tortilla, with cabbage, roasted jalapeno sour cream and mango pico de gallo. Paired with a Bikini Margarita. $1 Baja-style fish tacos, $2 asada/chicken tacos, $2 Tecate, $3 Corona, Pacifico, & House Wine from 11am-8pm. 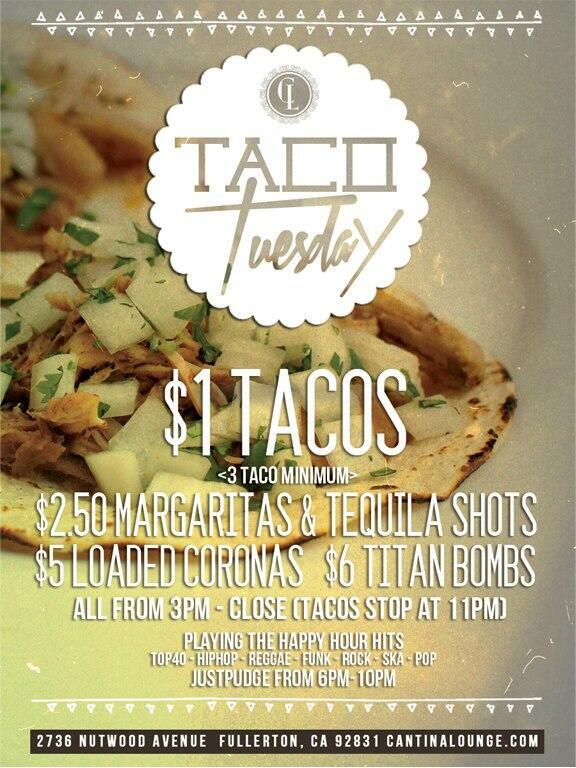 "Enjoy $3 selected tacos all day & night in the bar/lounge!" Photo courtesy of Jon S.
It's supposed to be $6 even for all-you-can-eat. Make sure they don't try to charge you more than that. 1. 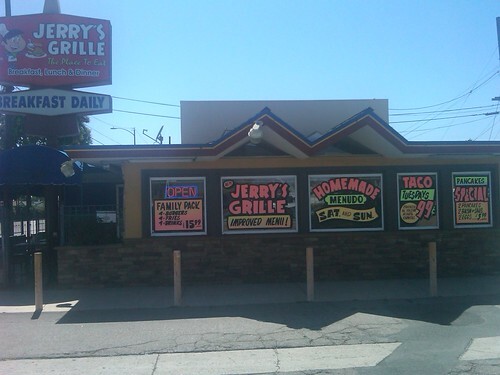 Arribas Baja Grill: Fried Chicken or Shredded Beef Tacos, $1 each. Location: UCI Marketplace, South Coast Metro Pointe. And one I've not tried. Thanks, I think I remember those mentioned at Chowhound. Thanks! I'm going to add this in to the list above. El Torito Grill, $1.50 tacos. I think it's only in the evenings and I've only seen them at the Main St. location in Irvine. All El Torito locations have dollar tacos from 4-10 in the cantina. Thanks for the info. I'm guessing you are from El Torito. I have written to the Real Mex Restaurant people about some stuff and have never received a response. I think the Taco Tuesday posts should be featured at the top of the website or on the site as a permanent fixture that is constantly updated and that people add too. Maybe a section that not only has Tac Tuesdays, but lists all the ongoing specials of all Mexican restaurants in OC? This entry is already updated any time somebody leaves a comment about a new place and I then add their info in which I think is a better system than anybody being able to add in anything they want. You need a moderator to make sure correct info gets posted and that people aren't leaving ads for Viagra and stuff. But, you are right that I should probably add the link in to the Help Panel at the top of every page. Thanks for the Fish House info. I'll add that in shortly. 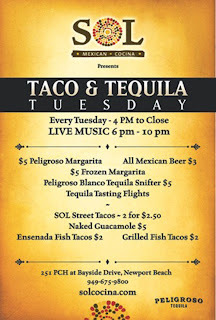 Fred's Mexican Cafe has a great Taco Tuesday with $2 Taco's and Big Beer and Margarita specials. They also do give aways - last night was a snow board. Thanks for the update on Fred's. I still have to do a proper review there sometime. Thanks for the comment. I don't think I've even heard of Cook's Corner but I'm going to look it up now. Oh, it's that biker bar out in the canyon area. Is that what you're referring to? are the crisp frescas chicken tacos that you get on Taco Tuesday in fresh fried taco shells or do they use shells like del taco? Interestingly enough I'm just about to go to the Fresca's in Anaheim for lunch so maybe I can check on this for you. You can add Newport Brewing Co. I id make it to Fresca's for lunch. I asked what kind of tacos they have on Taco Tuesday and they said, "Crispy chicken tacos." It took a while for me to respond because I then went to Disneyland then to another Mexican restaurant. Thanks, Anonymous. Just added in your Newport Brewing Co. info. Diamond Dog, oops, it looks like I dropped the ball. When I read your original question I was pretty much running out the door to Fresca's. I'm guessing it's fresh fried but will try to find out for sure soon. Triple Aces to Newport Brewing Co. Great staff and atmosphere. Tacos are amazing. Ten ********** I love this place. 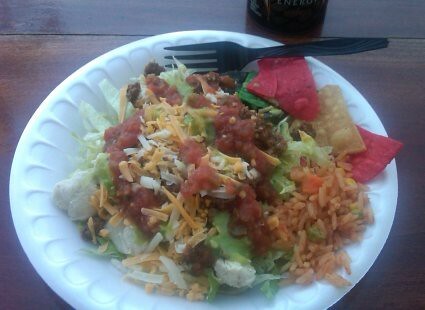 Rose Canyon Cantina & Grill $2 Tacos......Chicken, Carnitas, Ground Beef, Shredded Beef 4 pm til closing! Amazing full size tacos.....Taco Tuesday available in the dining room, cantina or the patio! Reservations recommended. Thanks for the update. Have you seen our three reviews of Rose Canyon Cantina? I'm hoping to make it back this year for my annual November trip. 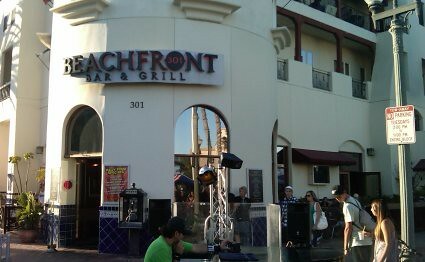 great mex - newport beach - $1 tacos and $1 drafts. Thanks. I have just added that info in. Costa Mesa - Triangle Square. Well, the whole Chronic chain does sort of cater to the 14 - 27 year old crowd. Another one for your list. 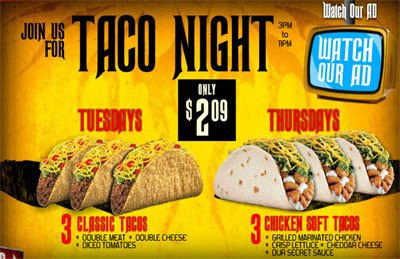 Tustin Taco Factory (Newport and Walnut) has $1.29 Tacos every Tuesday. Choice of any meat. Thanks. Have added your info in. Umm... Don Jose's doesn't have a taco tuesday. Stop spreading lies you communists. The Don Jose's on the corner of Magnolia and Adams in Huntington Beach is the only one I linked to and I just called them and they confirmed that they do have Taco Tuesday. Thanks. Going to add your Chronic image into this entry. 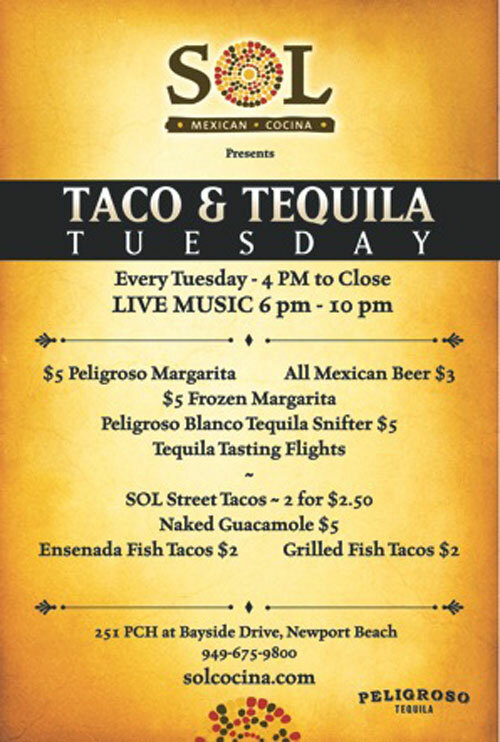 Dukes in HB has $2.50 fish tacos (fried or grilled) and $3.50 margaritas on Tuesdays! Thanks. Just added your Duke's info in and linked to my earlier review of them. 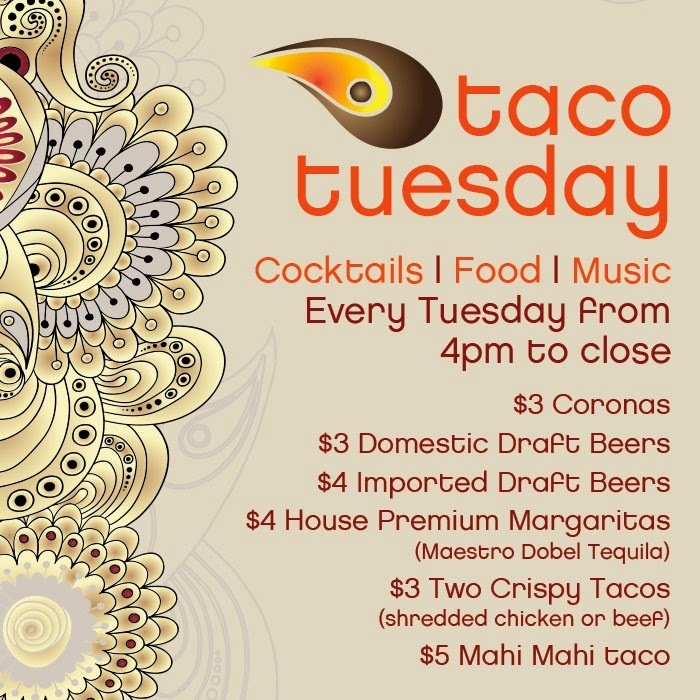 Tortilla Flats in Mission Viejo is back to $1 tacos on Tuesdays - all day. Do they have a Taco Tuesday deal I should mention? Info on District is incorrect. 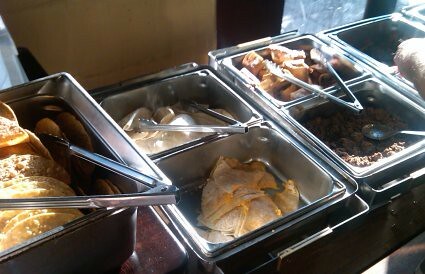 It is now $5 for all you can eat tacos, with chips salsa and condiment bar. 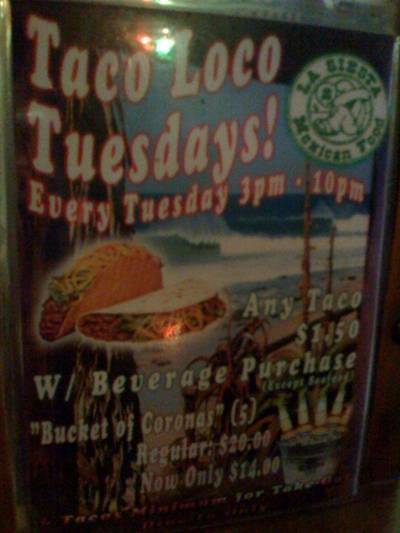 I believe Chronic Taco in HB also has a taco Tuesday. Don't remember how much though. Thanks. Let me know if you get their info before I track it down. Thanks for the Casa Rangel info. Nice! Vegan tacos at Native Foods! Yep, I had some on Monday. 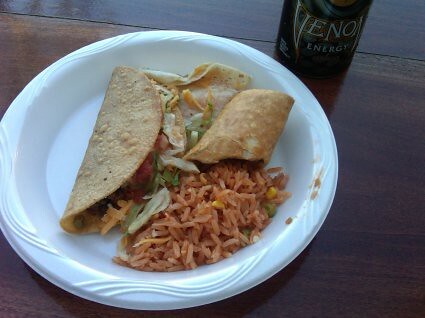 Milo's Cafe in Lake Forest has $2 Chicken, Veggie, Tofu or Salmon Tacos. Thanks, Anna. Just added it in. 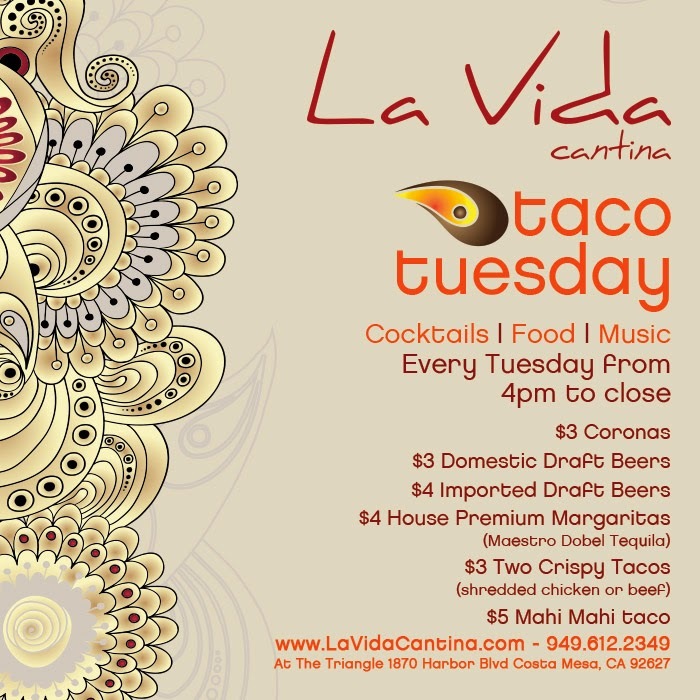 Add Las Barcas, Huntington Beach $1.25 Baja Style Tacos just $1.25 for Chicken, Carnitas or Shredded Beef or $.50 more for Steak Also all beers are $1.99! This is a GREAT list but it would be even better if it got updated. Some of those places closed and a lot of the deals have changed. Yes, this is why it says, "If you know of any place that should be added please leave a comment or e-mail me. I will work legitimate information given back into the main entry. We try to keep the information up to date but can't make any guarantees." I update what I can but also rely on readers to get me updated information I haven't been able to personally catch. Also, the restaurants themselves can make sure their info here stays up-to-date. Thanks for being an eagle-eyed reader. Can you start by telling me which places you know of to be closed? Seriously will be in your Top 20, if not 10! 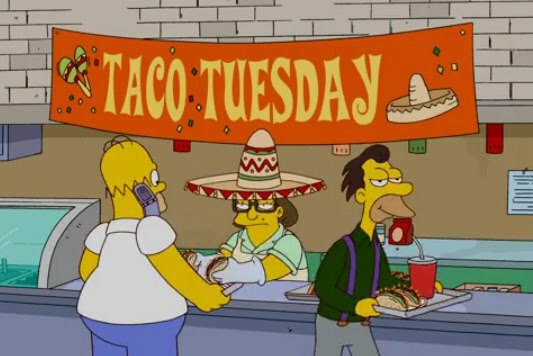 I like El Farolito (although I only know of the one in Placentia and the one in Anaheim) but don't know what their Taco Tuesday deal is. Do you?